Graduates of spring 2018 are announced. 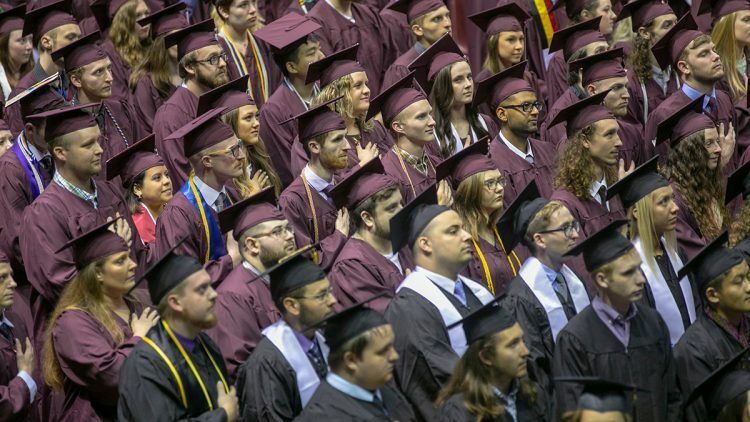 Missouri State University conferred 2,631 degrees to students at its spring 2018 commencement May 18 at JQH Arena. A total of 2,005 bachelor’s degrees, 531 master’s degrees, 91 doctorate degrees and four specialist degrees were conferred. Beyond the standard expectations, the university recognized 112 students for their work with a more rigorous curriculum in Missouri State’s Honors College.